The creative minds behind the Foursquaropoly mobile game concept have re-branded as Metropoli (for obvious trademark issues), but the concept is exactly the same. 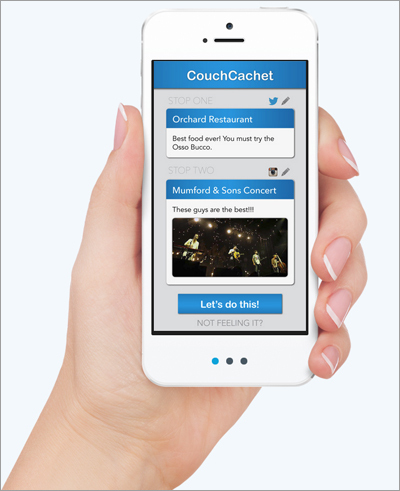 Once the concept is released players will be able to download the iPhone or Android version of the app, connect it to their Foursquare account. If a player is the first person to check into a ‘location’ they can buy it with the available money in their Metropoli account. All other players who check-in to that location must pay the owner rent, and the player’s earnings increase as long as they keep paying the bills on their property. The group has turned to Kickstarter to fund Metropoli and they are looking for $12,000 by October 26. With the help of 46 backers they’ve raised nearly $1800 so far (Oct 9). The game is obviously built for urban areas like New York, London, Amsterdam and Toronto that have the required concentration of hip mobile users with both the time and attention to dedicate to social game play within their daily tasks of commuting, work and nights out on the town. As I found out in August when I tried to check in to a restaurant in Lunenburg, Nova Scotia – mobile check-ins are not top-of-mind for most people outside of the major cities. If you’re hankerin’ for a Big Gulp or a Slurpee, head over to your local 7-Eleven, (in the US only) but don’t forget to check-in with Foursquare and take advantage of the special. You just might win a trip to space. Yes that’s right, I said space… the final frontier and all that. There are 21,000 prizes in total, starting with free tickets to the much anticipated Super8 for every 88th check-in. 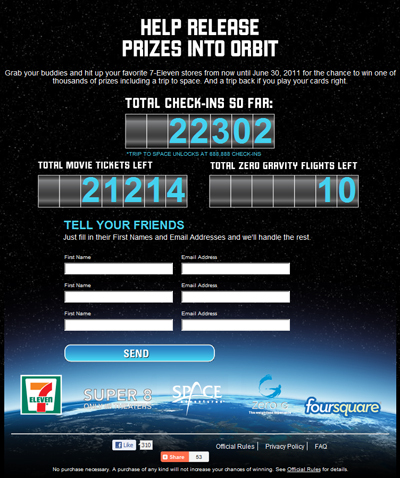 Every 88,888 check-in wins a zero-gravity experience and the grand prize for the person who checks-in the 888,888th time is a trip to sub-orbital space. Unless the contest picks up steam over the last two-thirds of the month, Space Adventures won’t have to worry about giving away too many zero-gravity flights. The total Foursquare check-ins are under 23,0000 – well short of the 88,000 for even one of the ten flights to be awarded. Foursquare is coming up on its second birthday March 11. I’m not sure what that equals out to in human years but in social networking platform years it means its high-time for this location-based company to grow up and make something useful out of itself. And while I’m at it, “hey, you kids stop ‘checking-in’ on my lawn”. Or, are we expecting too much from Foursquare, after all, have their social-media siblings YouTube, Facebook or Twitter truly figured it out yet? Foursquare may actually be on the verge of ‘growing-up’, the big question is “What does it want to be?” In a recent interview with CNBC, CEO and co-founder Dennis Crowley shared that the company has 6.5 million users (an increase from 100,000 a year ago) and 2 million check-ins each day, He said that they would be expanding into 5 languages including Japanese, French, German, Italian and Spanish. Those numbers are nothing to sneeze at, but with any metrics the big question is how many of those people are active users. If nothing else, Foursquare has become a platform for brands and their agencies to learn, explore and experiment with the concept of location-based marketing. 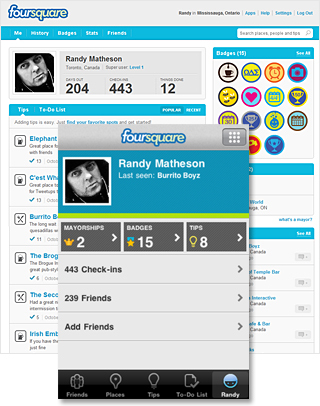 Foursquare’s check-in leaderboards, mayorships and badges seem like gimmicks now more than ever. Marketers are looking for more mature and sustainable methods to attract customers through their doors and to maintain those relationships through loyalty programs which they can control. Foursquare will be challenged to find that ‘special something’ that provides a true value that its users can’t live without. Will Foursquare check-ins ever become part of people’s behaviour as they move through their daily lives, or will businesses and their customers evolve to emerging technologies such as Near-Field Communications and Geofencing to provide location-based services such as autocheck-ins and mobile offers. 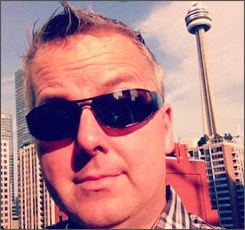 I am checking-in to locations much more sporadically now. In a widely distributed report released in Nov, 2010 the Pew Research Center’s Internet & American Life project found that only 4% of online adults use location-based services and only 1% use these services to share their location with friends. The survey was completed before the release of Facebook Places so it will be interesting to see an update of these numbers later this year. However, despite those low numbers there is no turning back now. 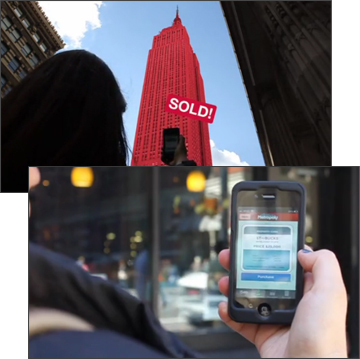 Location will definitely be part of the mobile marketing mix moving forward. How will we be using location in 5 years? Honestly I had no idea that these two icons had even broken up. It turns out however, that Ken Carson and Barbie Roberts (yes, they did have last names) have been an on-and-off thing one since they first met in 1961. Things were not well at the Barbie dream house apparently. In fact, in 2004 Mattel issued a press release stating that they were going to spend some time apart, and as we all know it’s not true until the press release has been issued. 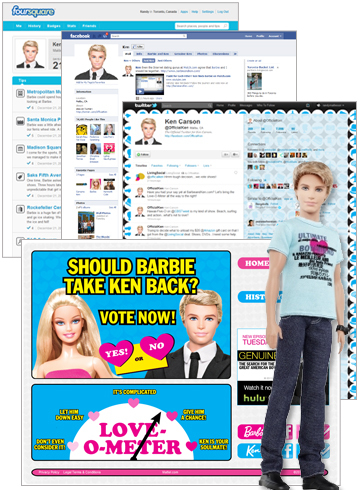 According to the barbieandken.com website Barbie had actually started dating an Aussie surfer named Blaine. Now in 2011, on the 50th anniversary of the debut on the Ken doll, and after a triumphant return in Toy Story 3 he’s back and he’s looking to win Barbie’s heart again, and he’s looking to do it just in time Valentine’s Day. While the campaign is very clever there is one thing that pops out at me. First of all, who is this campaign aimed at? It certainly isn’t the young girls who would be playing with them. It seems to me that this is targeted at adult users of these social media platforms, which begins to make sense as these are the people that will be buying the dolls for their daughters, nieces or younger family members. It turns out the dolls were already appearing in stores a week before Valentine’s Day in boxes emblazoned with the message ‘She Said Yes!’. It would have been fun to see coordinated events happening in stores on the Saturday morning prior to Valentine’s Day, providing discounts on the dolls to people who check in on Foursquare of Facebook Places. Encourage tweeting and Facebook status updates, as well as uploading and tagging photos from the events to their profiles on Facebook. Seems, you can’t keep anything secret these days. Good luck Ken on sorting out the ‘It’s Complicated’ relationship status. Update: It’s Valentine’s Day and Barbie did say Yes! To celebrate Ken and his Kentourage appeared at Toronto’s Union Station handing out pink roses in celebration of his new relationship status. The current campaign will run until March and there is a plan for two more phases yet to go in 2011.